Clearly the double negative in the title is a clue to expect a no-nonsense chronicle about the hazardous realities of Vietnam War combat through the eyes of a United States Marine. 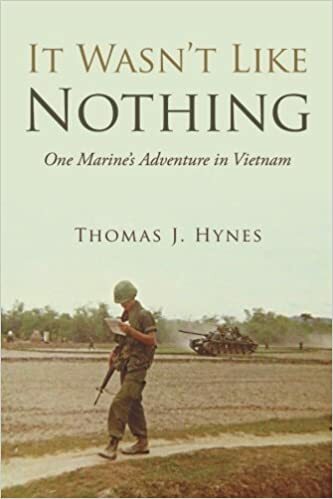 It Wasn’t Like Nothing: One Marine’s Adventure in Vietnam by Thomas J. Hynes (iUniverse 270 pp., $20.95, paper; $3.49, Kindle) covers the author’s path from enlistment to fighting the Viet Cong and and NVA. Hynes’s rapid change of venue after graduating from Georgetown Law School in September 1966, then taking the Marine Basic Course and Officer Candidate School and his subsequent assignment to Lima Company, Third Battalion, Fifth Marines near Da Nang all happened in less than a year. 2nd Lt. Hynes even somehow managed to fit in his marriage during a two-week leave. A Catch 22-like assignment was the new Lieutenant’s introduction to Lima Company. Introducing himself as Captain K, his CO said, “Lieutenant, we have a problem. I already have three platoon commanders, and I don’t have a place to put you except as weapons platoon commander.” Captain K then told Hynes that there wasn’t a weapons platoon. 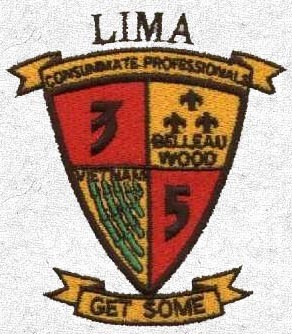 A temporary mortar team was created and Hynes began “learning the hard way.” Talking to experienced members of Lima Company was more valuable than most stateside training. This OJT often took place during platoon sweeps, patrols, and battalion-wide operations. Calling in artillery strikes and air support requires full knowledge of where your unit is and where the enemy is. “Just as the rifle was the basic tool of the infantryman, the map and compass were the basic tools of the platoon commander,” Hynes writes. Although the book’s photographs are of poor quality, the author’s descriptions of his platoon’s combat actions are as vivid as any images on film. One such account describes a ground action that could have caused many friendly casualties. A battalion operation was winding down as two companies were returning to their base camps. Lima Company detected incoming fire from the woodline in front of them and laid down a field of fire into the woods. Delta Company, advancing on the other side of the woods, returned fire toward Lima Company’s position. Miraculously, none of the thousands of rounds fired resulted in friendly fire casualties. The din of rapid firing drowned out cease-fire commands until radio transmissions halted the gunfire. Operation Swift was among the most critical enemy engagements Second Platoon was involved in during Hyne’s year in country. His report on this series of battles reveals a startling action that had the Marines and their lieutenant thinking about the futility of such operations over a few kilometers of The Que Son Valley. 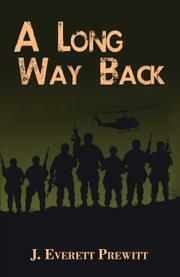 Hynes has written a remarkable personal journal enabling readers to appreciate the work of a group of brave Marines. A memoir normally has a purpose beyond simply recounting what the writer did over a given period of time. William S. Fee follows this pattern in Memoir of Vietnam 1967 (Little Miami, 122 pp. $15) by describing how military training and combat turned his infantry squad into a family. 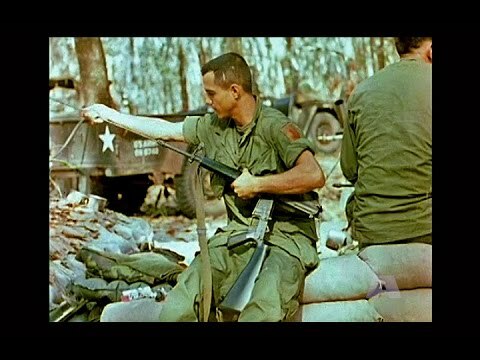 Fee took part in search and destroy missions as a member of Delta Company, 1st of the 18th in the 1st Infantry Division from July to November of 1967 in the Iron Triangle. During the battle for Loc Ninh, he suffered a crippling shoulder wound that led to an early discharge from the Army after four complicated operations. Fee found himself in an unusual situation. The men he trained with in basic at Fort Knox and Infantry AIT at Fort Polk and Fort Lewis remained together after schooling. Aboard the USNS Geiger, they sailed to Vietnam and formed a new company in the Big Red One. Fee fondly recalls all of his squad members, living and dead. He describes the high level of camaraderie that evolved from spending so much time together. The climactic event for him was the fighting at Loc Ninh during which a rocket propelled grenade nearly tore off his right arm. He credits his survival to the special care he received because his squad mates were long-time friends. Based on his experience, Fee believes that the practice of sending single replacements to rifle companies in the field in the Vietnam War was a major cause of PTSD. Men treated in this manner were victimized by being alone, both during and after the war, he believes. In the post-war world, Fee faced survivor’s guilt and his life lost purpose. He married but soon divorced his sweetheart—Sally—who had waited for him throughout his time in the Army and in hospitals. 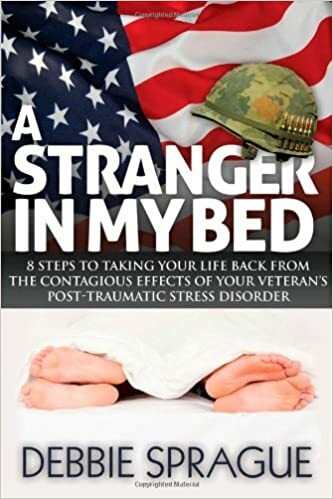 Psychiatrists and the VA were unprepared to deal with PTSD in the mid-1970s and provided no help in curing his illness. Following his rehabilitation, he and Sally remarried. Fee began a long career in the television industry. And had children. He also had a second family— the men from Delta Company who periodically hold reunions and remain close. Fee pays great tribute to his battalion commander, Lt. Col. Richard Cavazos, who later became a four-star general. Cavazos fought shoulder to shoulder with his men on the battlefield. Today, he still maintains friendships with Delta’s veterans. Fee presents a viewpoint new to me related to search and destroy strategy. He says: “Colonel Cavazos was a conservative war tactician. As soon as our patrols were ambushed, he ordered our retreat back to the perimeter, and immediately called in air strikes and artillery on our positions as we withdrew” (italics added). In other words, Cavazos did not require his undermanned units to duel with superior forces while awaiting massive fire support, as virtually everyone else did. Overall, Fee shows that Cavazos’ tactics saved many lives, including the author’s. 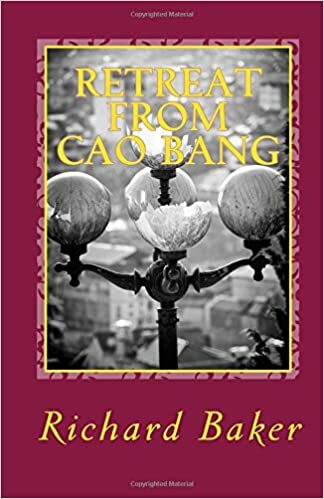 Richard Baker’s Retreat From Cao Bang: A Short History and Guide for Tourists (Ink and Lens, 92. pp., $8.50, paper; $2.99, Kindle) is just what the title and subtitle claim: a short—pithy, even—guidebook. Baker, who served in Vietnam with the U.S. Army’s 4th Infantry Band, packs a lot of information into fewer than a hundred pages. There are many photographs in this small book, and they give a good sense of the history of Cao Bang in far northern Vietnam, where the Viet Minh defeated the French in a large battle in 1950. If you are a collector of hand-woven fish traps, this book tells you where such an item can be obtained. Baker also offers details on a park where you can see twenty species of bats and forty species of reptiles. I pictured those beasts peeking out of my boots. The point is made more than once to not drink the water. One of the reasons the French lost their war in Indochina, he says, was due to thirst that drove them to drink the water, which caused dysentery and other stomach and intestinal ailments. “Viet Nam is flooded with water, none of it potable,” Baker tells us. The racism of the French that helped lead to their defeat is discussed; it reminded me of my time in Vietnam. “They never imagined the Viet Minh were capable of hauling guns through the jungle and into the hills,” he writes of the French, “so they had not prepared for such an attack.” We did not learn from the failures of the French. The French wanted “set-piece battles” from the Viet Minh, who failed to oblige them, preferring to fight using hit-and-run tactics. Many memoirs and novels I’ve read by Americans complain bitterly that the enemy would not stand and fight like men. But, as Baker shows, the Vietnamese communists knew that fighting a European-type war would result in disaster. So they avoided it. There is lots to appreciate in this little book. I highly recommend reading it before you embark on a tourist journey of battlefields in Vietnam. J. Everett Prewitt was drafted into the Army, completed Officer Candidate School, and served in a supply battalion in Vietnam from 1968-69. 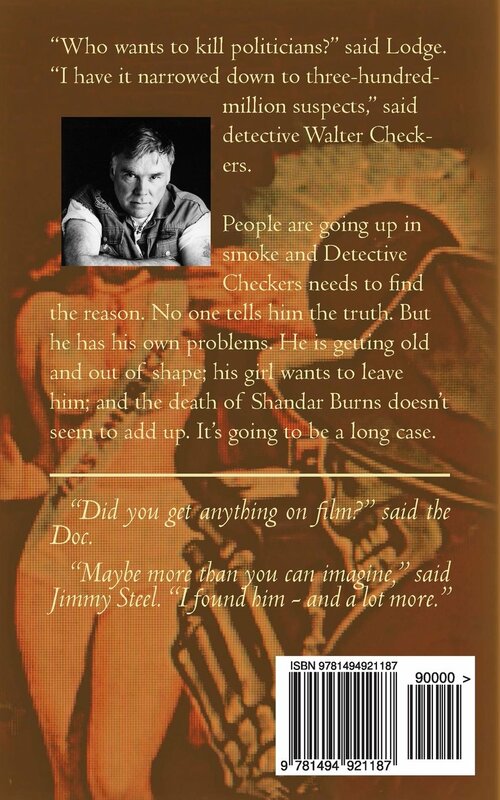 He’s the author of the novel, Snake Walkers (2005). The author thanks the late Vietnam War correspondent Wallace Terry (the author of Bloods) for the help he provided. This novel takes an important place on the small shelf of African-American Vietnam War novels. When Andrews arrives in Saigon on June 25, 1969, he’s assaulted by the sewer smell and the blast furnace heat, the first two things mentioned in most Vietnam War memoirs and novels. 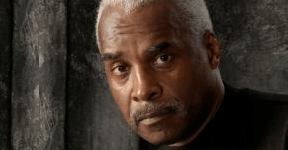 He’s there to write for the Post about the positive experiences of black troops. Experiences like that are thin on the ground at that time and place. The men sent off to Cambodia on an illegal mission are clerks, cooks, truck drivers, and other support troops. There is one warrior in their midst, a sergeant who tries his hardest to give them a crash course in how to survive against the enemy. These rear echelon soldiers were sent on a mission they were told would take three days. They were in the field for eleven days. 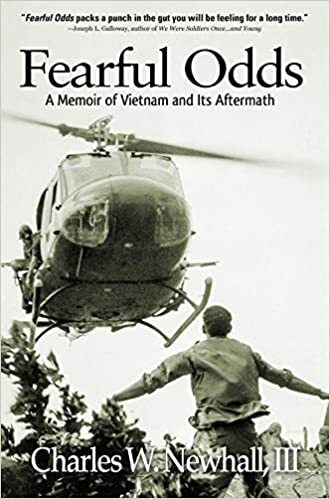 The section of the book that deals with their attempts to become field soldiers is very strong and hit home with me, a Vietnam veteran who is glad he was never sent away from his typewriter at USARV Headquarters and into Cambodia. The book contains some of the usual stuff of in-country Vietnam War novels: returning soldiers being called baby killers and being spat upon; cold ham and lima beans C-rations; Vietnam being a stink hole of a country. But this book avoids going overboard with such images. These black soldiers acquit themselves pretty well in Cambodia. It turns out that they were sent there with a one-way ticket because they were considered troublemakers. 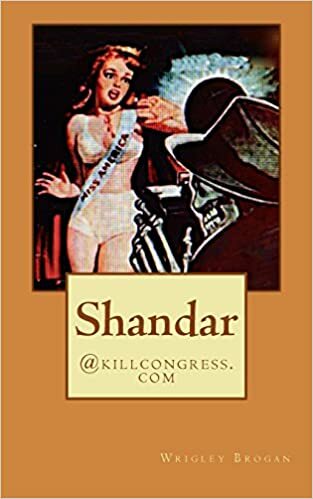 In part, this novel reads like an homage to Going After Cacciato, as the men wander in Cambodia encountering troubles they are ill prepared for. At some point, one of them thinks, “And with all the firepower in America’s possession, we can’t defeat a small, backward country like Vietnam? Was it some Supreme Being’s way of telling us we shouldn’t be there?” Good question. The seven black soldiers who make it back alive are given other-than-honorable discharges and sent home in disgrace. They try to settle into life in the United States and forget about their Cambodian adventure. Andrews, being an intrepid reporter, does not allow this to happen. He keeps pestering away, trying to get to the bottom of what was done to these men. I won’t give away the ending, but I will say that the book is well worth reading, as these African American soldiers get treated better than most did in real life.